WITH the groundswell of empirical evidence regarding the arts’ positive impact on both physical and mental wellbeing, particularly in older age, why shouldn’t it be as readily available to the public as any medication? Sydney’s Chris and Roslyn Poulos are championing the concept of Arts on Prescription in Australia. Chris is head of Research and Aged Care Clinical Services for HammondCare, one of Australia’s leading providers of aged care, dementia, palliative care and rehabilitation services. He is also conjoint professor in the Faculty of Medicine at the University of New South Wales (UNSW) and a consultant physician in rehabilitation medicine. Ros is a public health physician and associate professor at UNSW, teaching and researching in the field of ageing and health. 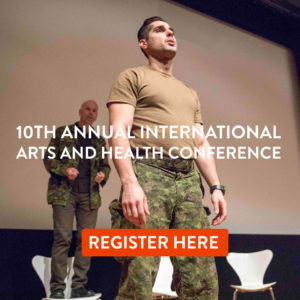 Their participatory Arts on Prescription program is based on a model developed in the UK whereby health professionals, including GPs, write prescriptions for their patients to participate in the arts. “It is always done in association with traditional health care, but it recognises that there is more to achieving health and wellness …,” Chris said. Chris and Ros’s program specifically targeted people over 65 experiencing a range of health and wellbeing challenges, rather than a single issue. These included frailty, declining physical function, anxiety, depression, mild cognitive impairment, bereavement, social isolation and/or carer burden. Groups of six to eight people worked for two hours per week for 10 weeks in the arts area of their choice, with a professional and specially trained artist, using professional-standard materials. 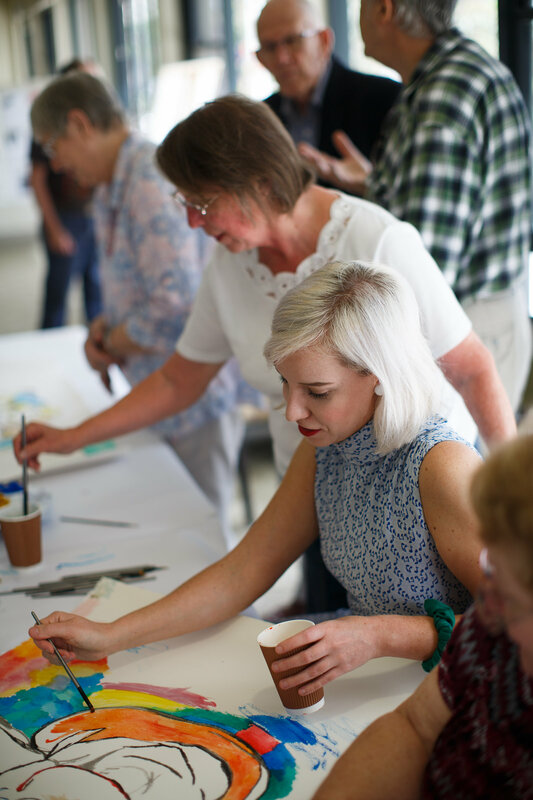 Classes covered visual arts (oil and watercolour, drawing and printmaking), dance and creative movement, music and photography, with many participants signing up for more than one genre. The artistic area was not chosen ‘for’ the participant because engagement was the primary goal and Chris said it was felt that many forms of arts activity would achieve other health and wellness targets such as socialisation, movement and creativity. “The thing with any form of activity is motivation is always key,” Chris said. Ros agreed, saying “the beautiful thing about the arts is they can be incredibly flexible and can be modified to whatever individual health problems people may be experiencing”. Data from 139 participants in the program was analysed and followed up with interviews and focus groups to explore people’s experiences anecdotally. Ros said there were significant improvements reported from pre- to post-program on the Warwick-Edinburgh Mental Health and Wellbeing Scale, and statistically significant increases in self-perceived creativity and frequency of creative activity. “We found people said the program had given them a sense of purpose and direction,” she said. “It had also given them a new talent to explore. Many participants had entered the program saying they were not artistic and would not be able to create anything, she said, meaning when they did so, there was a real sense of achievement and personal growth. “People had a sense of seeing beyond their expectations of themselves, which was a real feeling of empowerment, that they could ‘think bigger’ – if I can achieve this, maybe I can do other things,” Ros said. While some measures of frailty were taken, it was not a focus because the program was a funded service rather than a research project, however, Ros said that anecdotally, people did report greater physical activity and this was something which could be explored in the future. “When we talk about wellbeing, we are talking about feeling happy, but also about more long-lasting attributes such as sense of purpose, achievement and being important to other people,” Ros said. “This program has brought me back to life again,” she said. Others referred to it as “the highlight of their week” and “the best thing that’s ever happened to me”. 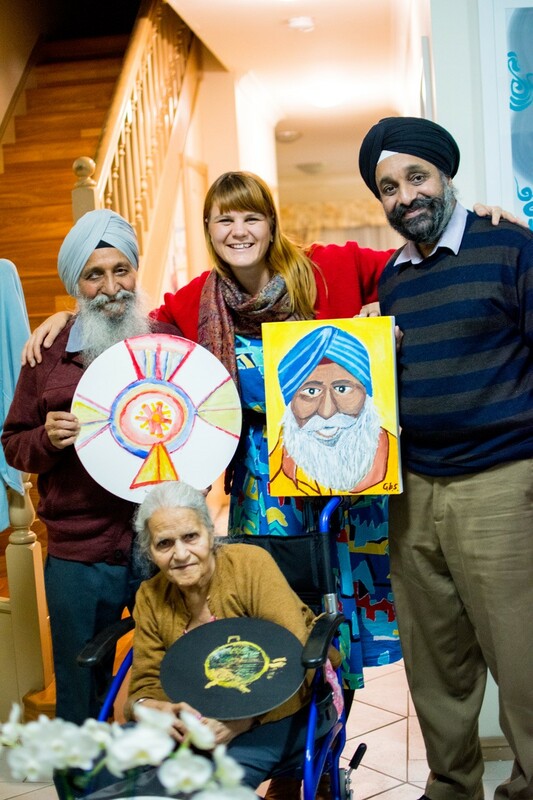 Ros said the participants had throughout been treated as developing artists by their mentors. They were not ‘taught’ but ‘encouraged’ and shown how to achieve what they wanted to as part of a partnership. A Festival of the Ageing, as part of NSW Seniors Week, was the culmination of the program, with about 150 pieces displayed in a professionally curated exhibit, allowing participants to really see themselves as artists in their own right. 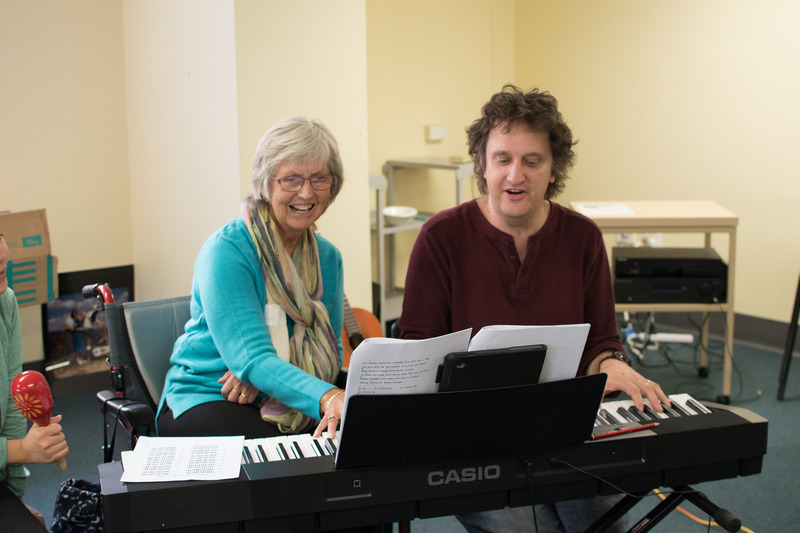 Those involved in musical ‘prescriptions’ also worked towards performing before an audience, including at coffee shops, a retirement village and at UNSW. Some of the art was also brought in to the UNSW Medical Faculty to raise awareness among that fraternity of what can be achieved through Arts on Prescription. 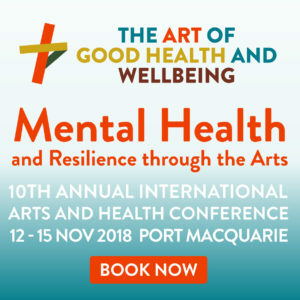 Both Chris and Ros believe it is important to make Arts on Prescription a viable and sustainable ongoing program and for it to be embraced by Australian GPs, with referrals in this project accepted from a range of health care practitioners, including social workers, nurses, pastoral care workers and aged care assessment teams.